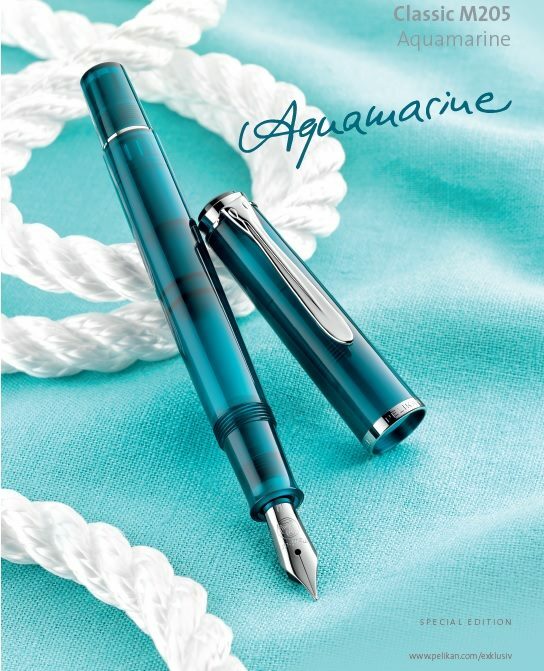 I’ve been expecting news of an M205 Aquamarine fountain pen to officially break for a few weeks now. It was mid-June of last year when we learned of the M205 Amethyst and I expected Pelikan to keep a similar timeframe for this year’s product announcement and release. The M205 Aquamarine marks the second special edition model designed to mirror the color of the limited edition Edelstein Ink of the Year. Pelikan Taiwan announced via their Facebook page the debut of this new Classic Series demonstrator. Mum is still the word from Pelikan International but I expect a global announcement with more details soon. It shouldn’t take long for this pen to show up for pre-order via the usual retail channels. Aside from the photos shown here, translation of the sparse accompanying text indicates that release is intended for sometime in August. It was almost one year ago today that Pelikan gave us Edelstein Amethyst on the heels of a few new product announcements. Déjà vu. That pattern appears to be repeating itself starting with the news of the upcoming M805 Vibrant Blue which was announced yesterday. Today, Pelikan officially announced the Edelstein (pronounced EY-dell-shtine) 2016 Ink of the Year. Unlike the Vibrant Blue, it appears that this rumor was 100% accurate. 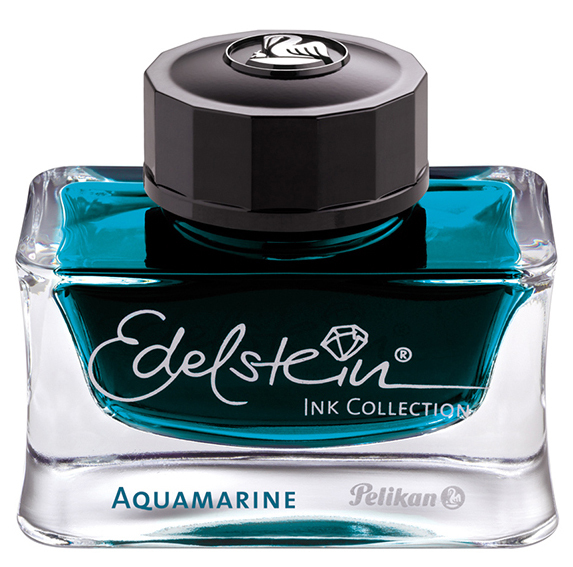 This upcoming year will feature Aquamarine, marking the thirteenth addition to the Edelstein line-up and the fifth Ink of the Year.